Youtube with a new update, has changed its layout. If you are not happy or comfortable with this new update and want to restore Old YouTube layout, then this article is for you only. You can restore the old YouTube layout temporarily from editing the source code of the page, but to do it permanently you have to use third party chrome extension. Let’ s check out a detailed guide on how to restore old Youtube Layout? Here, we gonna use Temparmonkey Chrome Extension. 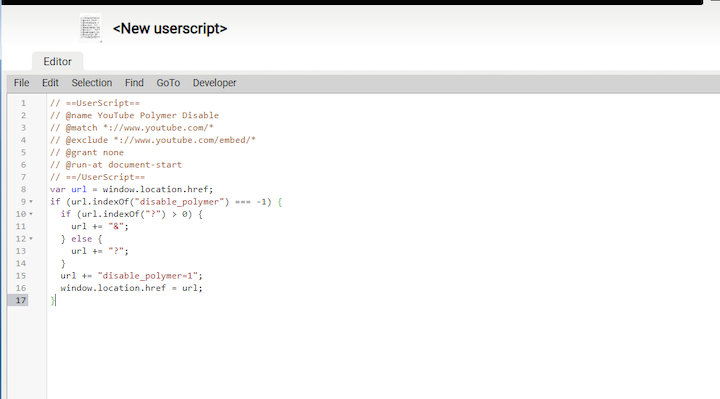 Temparmonkey is one of the most popular userscript managers. Step 1. First, visit “Youtube”. You will see the new Youtube layout. Step 2. Now if you want to restore the old YouTube, First you have to search chrome web store by entering this link chrome.google.com. Step 3. Click on the extension option which is on the top of the chrome window, and search for Temparmonkey. Step 4. Once you find “Tampermonkey” chrome extension, now you will see an option as add to chrome, click on it. Step 5. You will be shown a pop-up box “Add Extension”, click on that button to add “tampermonkey” chrome extension. Step 6. Downloading get started, extension will download in the background and will be added to your chrome browser. Step 7. Now you have to copy the below given script. Step 8. Click on the “Tempermonkey” icon which is on the top right side of the chrome bar, select the “dashboard” option for getting the old youtube layout. Step 9. You will see the page below, now click on the “+” sign and remove the old “user script” paste the copied script. Step 10. 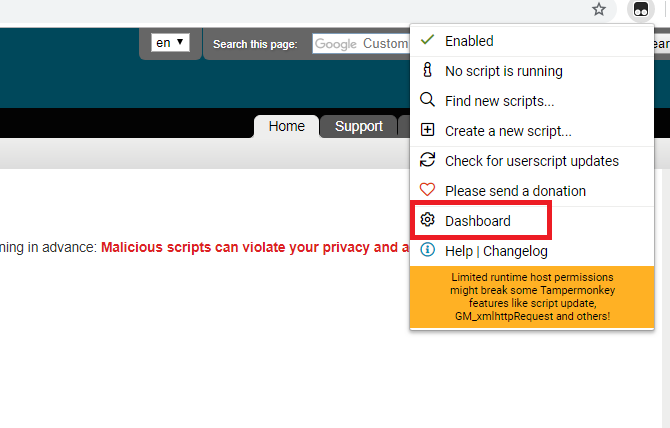 Press ctrl+s to save the script, after this you have to enable the “Userscripts“. Step 11. In this way if all the process completed successfully you will restore the old Youtube layout. That’s it. You can also use another third party extension: “Restore Classic for YouTube™”. You have to simply download and install this extension on your browser. Then just activate it. It will automatically return you the classic look of Youtube for you.